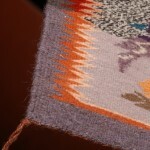 Melissa Cody was born in 1983 and is a fourth generation weaver. 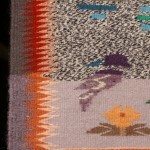 Her mother Lola Cody and grandmother Martha Schultz are both well known weavers. She made her first weaving at the age of 5 under her mother’s guidance and has been weaving ever since. She grew up on the Navajo Reservation in Leupp, Arizona but the family also moved around the southwest for her father’s job as a carpenter. She moved to Santa Fe to study studio arts and museum studies at the American Indian Arts Institute where she earned an associate’s and bachelor’s degrees and called Santa Fe home for 8 years until moving back to the Navajo Reservation to focus on her weaving and help care for her ailing father. 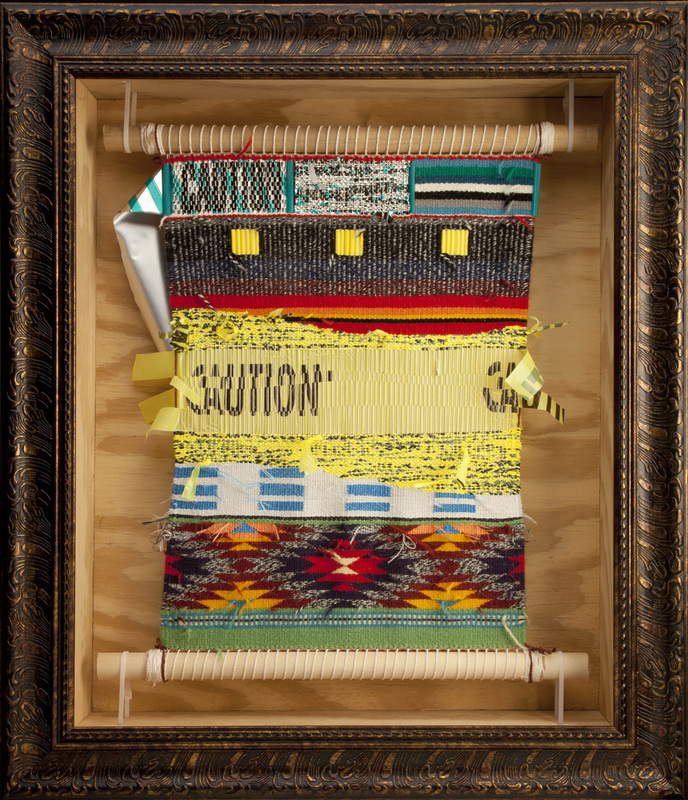 She is inspired by the broad art education she received in school and by the bright colors of historic Germantown weavings. 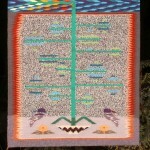 She is an innovative weaver melding traditional technique with contemporary themes. 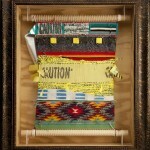 She was profiled in the December 2010 issue of “Western Art Collector”. 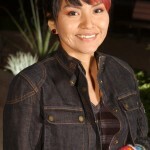 Melissa Cody and her family will be participating in the upcoming 54th Annual Heard Museum Guild Indian Fair & Market, March 3-4, 2012. Additional audio: Melissa Cody reflects on childhood and growing up as a young weaver. 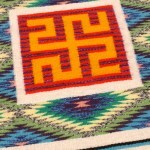 Additional audio: Melissa Cody talks about misunderstandings and the Germantown Style of Navajo Weaving. 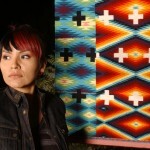 Great interview, I especially enjoy the beautiful colors and weavings. This sounds like an exciting series and I look forward to future installments. 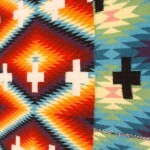 It is encouraging to know that this Native weaving tradition is continuing to be passed down through the generations and is evolving. Beautiful work! When the month of historical voices is over, will all this material be available in booklet or preferably CD format???? What a great idea this was! Really like it!!! Glad you’ve enjoyed the program! The information will be available indefinitely on the website, and we are discussing the possibility of CDS, we’ll keep you posted. Thanks Cyndy!!! We appreciate you listening-and taking the time to comment! Thanks, Kristy! We concur—Melissa’s work is stunning! Is it alright to insert part of this on my personal website if I publish a reference to this site?